BleachHouseLibrary.ie: #IrishFictionFortnight" - Day 9 - "The Boy Between" by Susan Stairs. 3 copies to Giveaway. #IrishFictionFortnight" - Day 9 - "The Boy Between" by Susan Stairs. 3 copies to Giveaway. Thanks to the author, there are three copies of this new release up for grabs. Just enter via rafflecopter link below. Good Luck! When Orla is handed an envelope by her father, she is perplexed by what she finds - a photograph of her parents, taken the summer she was born. Her heavily expectant mother, unusually, is smiling. Between her parents stands a teenage boy, her mother's arm lovingly around him. Orla later asks her father about the boy's identity, but he refuses to be drawn. Her mother's mood is low again and he doesn't want her upset. So begins the daughter's investigation, back to the summer of 1983, and the story of a young English boy on holidays in rural Ireland. 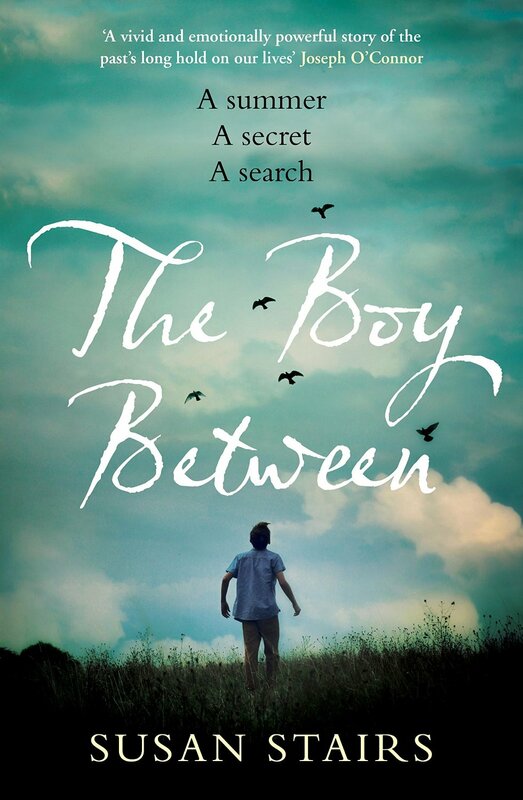 As the circle closes on a web of tragedy and deceit, the truth that emerges will impact on all their lives.The Boy Between is an expertly crafted, suspenseful and ultimately hopeful story of family secrets, a fateful summer, and the long-buried events of a distant past. Susan Stairs was born in London and has lived in Ireland since early childhood. She studied at the National College of Art and Design and worked in the art business for many years. She also has a Masters in Creative Writing from University College Dublin. - A Selection 2008-2011 (New Island). Her first novel The Story of Before was published in 2013 (Corvus). The Boy Between is her second novel. She lives in Dublin with her husband and family. The Boy Between is published by Hachette Ireland on 6th Aug 2015 and will be available in PB and ebook format. Louise Phillips is another Hachette Ireland author.